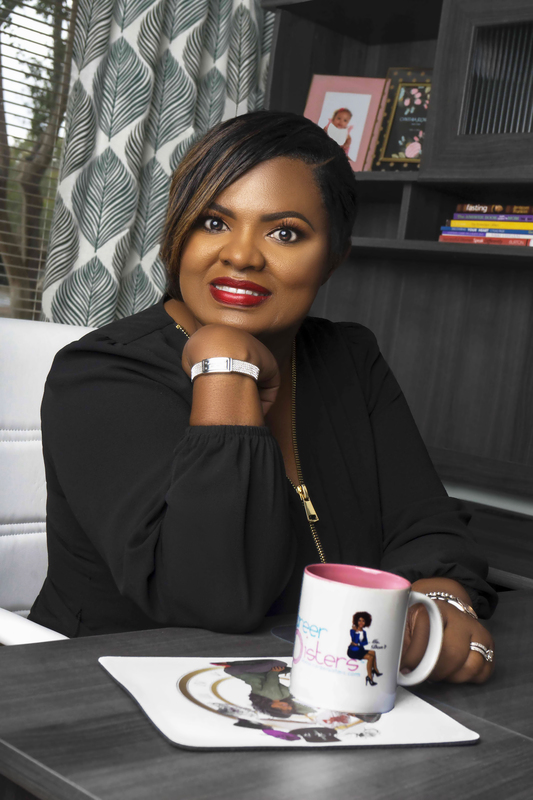 Fern Johnson Creates Career Sisters: A place for women to connect – The Write Pieces. Fern Johnson is a proponent for change when it comes to women of color in professional spaces. Her humble beginnings give her the drive to keep going even when it isn't always easy to do so. Fern dropped out of high-school at 17 in response to her father's sudden death and moved in with her brother. After taking a few to grieve and heal, she returned to her hometown to finish school. Turned down twice by the school board, Fern finally wrote a letter to the governor of Georgia to get permission to move forward ahead of her class - he approved. 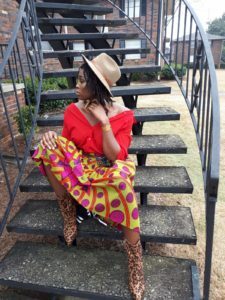 She began her higher education studies in Savannah at a two-year school and later transferred to Savannah State after being encouraged by her first year professor.She worked hard, attending school in the morning and then working two jobs in the afternoons and evenings. She worked as a full time accounting assistant and enrolled at Eckerd College, a liberal art school taking evening classes; sometimes bringing her then 6 year old son, Daniel, to class with her in the evening time when she couldn’t find a sitter. Fern graduated and later pursued her MBA which led her to find her way up the ladder. Her big break came while she was an accounting manager working at one of the most prestigious commercial real estate firms in Atlanta. When the Director of Finance position opened up, Fern decided she needed to be at the top of the food chain. She mentally prepared herself to ask for the promotion, leaning on the words she learned from her mother who raised 7 children on her own; “Focus not on your inadequacies but instead, rely on your assets.” These words in conjunction with the scripture, “You can do all things through Christ who strengthens you,” led Fern to prepare for a meeting with the higher ups. Fern made a list of all of her accomplishments, researched the job market and emailed the President of the company to request a meeting. He accepted the meeting and complimented the value she brought to the team. He emailed the CFO to make the change effective immediately (who was also on board and very supportive). With his blessing, Fern became the first and only black woman to hold the position as Director of Finance at one of the most prestigious real estate firms in the Southeast. Eventually that led Fern to more exposure. She was the only women of color to attend the Monday morning senior meetings out of a room of 15 or so professionals. She felt as if she was an imposter; legs shaking under the table and palms sweaty, she would intentionally show up right before the meeting started to grab a seat around the perimeter of the conference room, instead of sitting at the table. As a child, Fern was very observant and carried that trait with her into adulthood. Over the ten years she was in leadership, she observed white men in leadership who had a strong sense of self-confidence. Even when these men (and few women) lacked the skills to compete, they made up for it with their sense of belonging. Eventually her superwoman powers kicked in and she faked it until she too felt a sense of belonging, sometimes being the first one at the table. The position eventually took her to higher heights - pushing her chair to the C-suite by the time she was 35. She became the only woman of color that held a VP position at one of the largest private oncology laboratories in the southeast. After spending several years at the top of her company, Fern was in her early 40’s when she was laid off. The next day she found out she was pregnant with her fourth child, a girl – a miracle though completely unplanned, became a dream come true because Fern had already chosen her daughter’s named ten years prior. The same year her mother, Rain, had congestive heart failure and a stem brain stroke and Fern was moved to find employment at six months pregnant once her severance ran out. Fern was experiencing a level of adversity like never before while at the same time carrying a blessing. Maya represented many things, she was Fern and Jeff’s fourth child , the only girl, and a constant reminder that regardless of how things were looking, it was a divine appointment. Fern’s mom, Rain went completely lifeless after her brainstem stroke and doctor’s thought she wouldn’t pull through – she did. A week later, she experienced another setback and again thought she wouldn’t survive – once again, she did. Due to her new consulting job and long drives to Augusta to check on her mother, Maya was born three weeks early at 5lbs – ironically four days after Rain’s birthday and successful heart surgery. Maya was born into the world with strength and endurance and was strong enough to go home with Fern by the fourth day. After applying for over 100 jobs, dumbing down her resume, and trying to force herself into a place she did not belong, one-day Fern started to refer back to her journal of notes over the course of several years. She thought about what made her most happy, what gave her the most satisfaction, what set her soul on fire, and what she found herself doing even when she was working her normal job. The answer: empowering people. But not just any people, what Fern found was that the thing that brought her the most fulfillment, was empowering women of color who felt inadequate, as if they didn't belong. She could resonate with those who felt as if they weren't smart enough or pretty enough; she wanted to help women who felt unworthy. As Fern looks back over her career, since her high school years she has always been the “first woman of color,” to break-in, connect, build, recruit, extend, and help others like her to EMERGE by educating them on the do’s and don’ts, mentoring them on how to, encouraging them with, “you got this,” restoring their confidence, guiding them to a higher level of thinking or a diverse network of people and empowering them to soar like eagles. Fern decided it was time to create something for other women like her, thus Career Sisters was born. 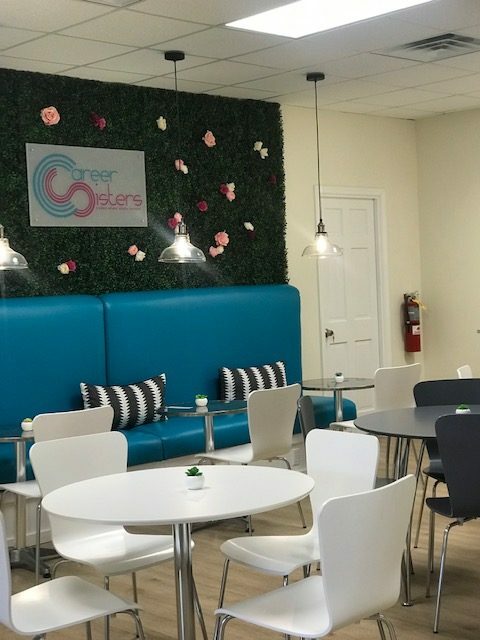 Career Sisters is a space for sisters to connect through healing, business and entrepreneurial endeavors. 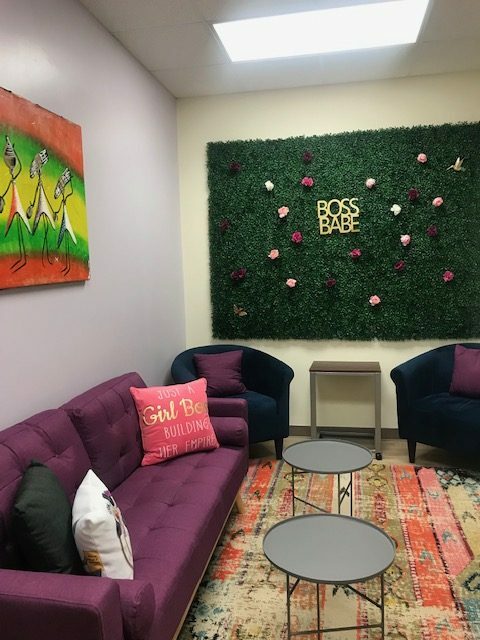 The Career Sisters team has intentionally curated rooms that cater to women looking to facilitate growth and join a sisterhood. Maya’s Room (pictured above) named after Fern’s daughter and the great poet Maya Angelou is the place where healing and connection happens. Whether it’s a vision board party, a Sister Soul Sunday or simply a place to share ideas; the living room has this magic ability to create a sisterhood that must be experienced to be understood. Sisterhood is just as much about camaraderie as it is about business. 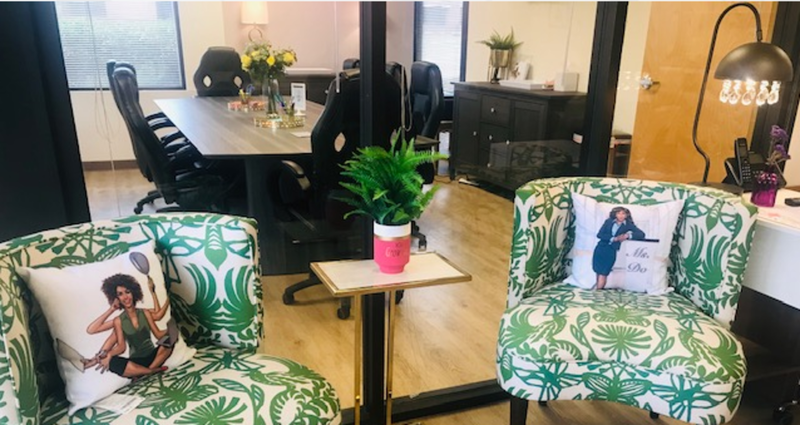 The Nailah room, appropriately named after an African word meaning "success" or "one who attains", is a room to conduct business, create new things and collaborate with women who are ready to take themselves and their ideas to the next level. We know that looking good is a part of feeling good, and feeling good helps us perform at our best. This Beauty Room, also called Tyra, named after the top model Tyra Banks, does just that. 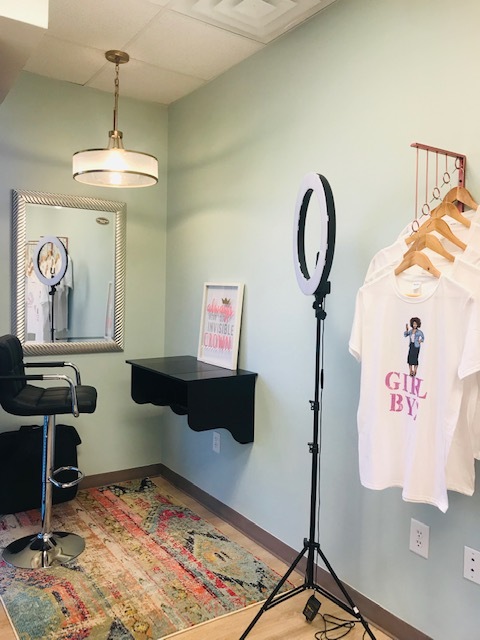 Career Sisters considers the entire woman's experience by creating a space for women to come in and freshen up at any moment. 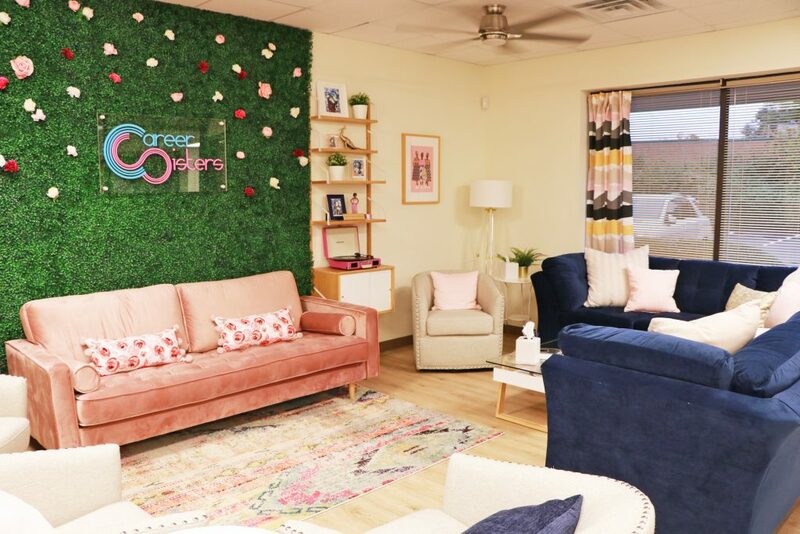 Career Sisters is currently rolling out their Phase II, which features Ava’s Media Room, a place for women to create priceless content and teach workshops. 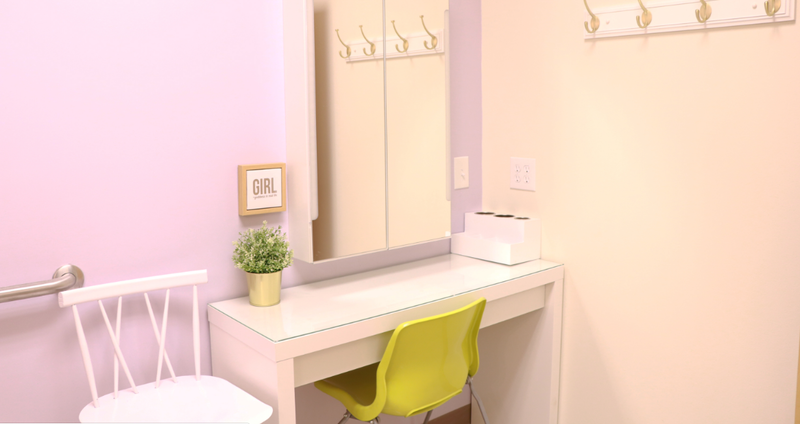 The second Make Up Room, Iman, named after the top Somalian model, is set up intentionally for professional make up sessions. The Emerge Cafe, a co-working cafe that can also be used for small events and workshops; and The Purple Room also called Serena, named after the tennis player Serena Williams; a small, comfortable room for quick meetings and honest chats. Aside from the various services and events Fern offers at Career Sisters, the cornerstone of her heart is telling women’s stories and establishing the power of connection through storytelling and sharing. Fern will soon be opening up The Writers Room; a small cohort of women who will come together and be led in several sessions to write and record their stories. This mission is just the first step in helping women of color tell their stories in a way that highlights their beauty and inspires others to create and proceed. Career Sisters is a mecca for women to grow into themselves, catapult their careers, and tell their stories on the way up. Fern’s vision of creating a space where women of color can connect has come to fruition with Career Sisters. 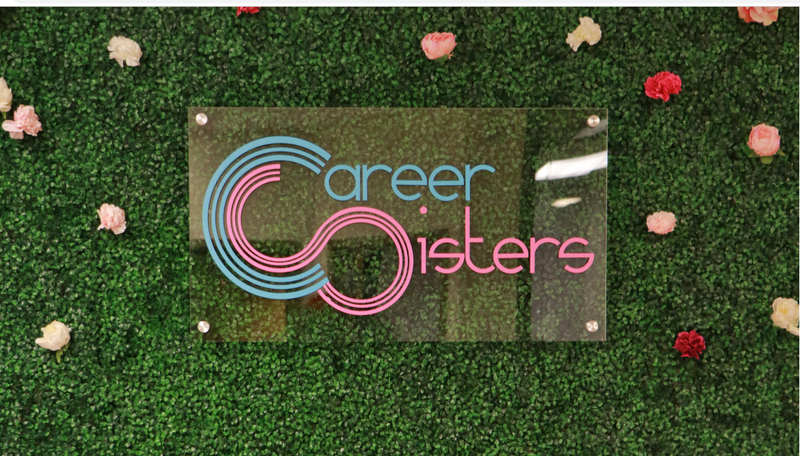 No matter your industry or desires for the future, career sisters is a beautifully crafted space geared towards women of color with invaluable benefits and a beautiful atmosphere. It’s the epitome of good energy, pretty decor and space to become. Fern would be remiss if she did not mention her amazing team that made it possible: her husband, Jeff Johnson and kids, her mom, Rain Austin, business partner & CPO, Sonya Hodges, brand partner, Ralph Edward, interior designer for Career Sisters Phase I, Erin Blane Design, General Contractor and brother, John Mark Thomas, Marketing and PR Advisor, Mara Butts, Ambassador, Tammy McArthur, Client Ambassador and sister, Sharon Oliver, Ambassador, Stephanie Tolliver, Advisor, Jewell Moore, Advisor Alli Neal, Advisor Reginald Robinson and all the members, family and friends that cheered her on from day one, signed up and supported. Visit Careersisters.com for info on their packages, pricing, and events! Previous post: What If Your Spouse Isn’t Your Partner?